The UK-based emerging markets bank says it is looking at where it should best be headquartered. The regulatory, economic and reputational costs of being in London have clearly risen. But HSBC’s realistic alternatives – Hong Kong and Shanghai – both carry major risks. 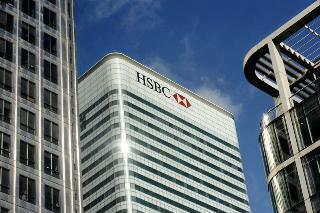 A general view shows the HSBC building in the financial district of Canary Wharf in London. The board of HSBC said on April 24 it had asked management to look at where the UK-based, emerging markets-focused bank should best be headquartered. In a statement ahead of HSBC’s annual general meeting in London, Chairman Douglas Flint said the question was a complex one. He said it was too soon to say how long the review would last or what its conclusion should be. Flint added that continuing membership of the European Union stood out as an economic uncertainty.